This morning, I finally completed the 36-hour audiobook, Alexander Hamilton by Ron Chernow — the book upon which Lin-Manuel Miranda based the wildly successful “Hamilton: An American Musical.” I have thoughts. First, if you haven’t read Chernow’s book, please allow me to commend it to you as a meticulously researched and compelling read that provides fresh perspective on many of the founding fathers (and mothers), not just Hamilton. The myths that have for 200+ years surrounded these men and women — myths that most of us were taught as part of our American history classes — are laid bare. These were real people who accomplished extraordinary things, to be sure, but they were fallible, flawed, and in the end, political animals who nearly unmade their brilliant democratic experiment that nevertheless survived the Civil War, the Great Depression, 9/11 and so many other tests, and remains the United States of America. There were many times that the book was difficult, almost painful, to listen to¹. This is, after all, a biography, and we know how it ends. More or less². Hamilton was brilliant, a visionary whose efforts to form a new government from a green field we still benefit from today, a prodigious political thinker and writer, a military leader and hero, a preternaturally gifted orator, and a fatally flawed man who could never let an insult to what he perceived to be his honor pass without attempting to squash his opponent with a deluge of discourse and argument. He seemed incapable of learning from his mistakes or compromise. As the book progresses, the reader sees so many crossroads and choices where Hamilton could have, should have, taken a different path — ignored his detractors, practiced discretion in his personal affairs, sought compromise or chosen his battles more thoughtfully. 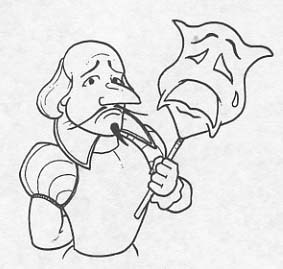 It was Shakespearean. The inevitability of the end of his career and life is plain, and the last 12 hours or so of the audiobook were full of dread. And frustration. I wanted to reach into the annals of history and slap people around. It is impossible to ignore the timeliness — timelessness — of the lesson Alexander Hamilton offers us: “Those who do not learn history are doomed to repeat it.” In many parts of the world today, we face this crossroad. So, this morning as I drove to my workout, I listened as the epilogue related Eliza’s endeavors on behalf of her husband’s memory, her family and underprivileged children of New York during her widowhood, the respect and warmth ultimately shown her, and her death. Tears spilled. Living, as I do, in the wilds of Appalachia, my opportunities to get to the Richard Rogers Theatre on West 46th Street in NYC are limited, but to see the musical on Broadway would be worth the expense, if opportunity permits. Early this year, Miranda said that a film adaptation of the musical is underway. If we’re lucky, he’ll reprise his role as Alexander Hamilton in the film. Meanwhile, there’s YouTube and the soundtrack to tide me over. ¹ Or read. But I listened to the bulk of this audiobook over three nine-hour days in the car on the recent road trip Fergus and I enjoyed. Unlike a book, whether made out of paper or gigabytes, that you can put down if it gets too tense (I’m looking at you, GRRiM and your Song of Ice and Fire series), I felt captive to the beautifully narrated audiobook during those long, lonely hours crossing the southern tier of states between home and Texas, and back. ² American history has given short shrift to Hamilton’s widow, Eliza, who survived him by 50 years and died at the incredible age of 97. Chernow does her life justice. She was a woman of great intellect, wit, ethics, compassion and achievement. While she spent much of her life striving to preserve Hamilton’s legacy and counter the misinformation and outright slander that plagued Hamilton throughout his political career, she was also a principal in establishing residential and educational institutions for orphans in New York City. Chernow postulates that her lifelong efforts on behalf of orphans stemmed from her empathy for her late husband’s difficult origins. In her later years, having outlived Hamilton’s contemporaries, she became a revered, sought-after fixture in the nation’s capital. I know the soundtrack by heart, too! And one of the national touring companies will be here in Salt Lake during the next year and we have season tickets! I wasn’t sure l would like the soundtrack before l listened to it. But l quickly came to love it. There are certain parts of the story that still move me to tears to this day…every time l hear them! I’ll have to get the audiobook! Thank you for the recommendation. I hope you get a chance to see the show! When you see the show, you’ll have to tell me about it! Longest audiobook I’ve done, to date, is 20 hours. Up for the challenge! Diana Gabaldon’s Outlander series is even longer…48 hours +- ! What a good idea to take along your audio book on that incredibly long car trip! It’s a beautifully written biography. I’ll see the musical someday, hell or high water! There sre two national touring companies out in the next year or so. Road trip? Maybe to Texas? I’ll have to keep tabs! I truly appreciate history books/biographies that tell the unvarnished truths without diminishing the accomplishments of their oh so human subjects. I bet Stella and I could get in a LOT of steps with this book! 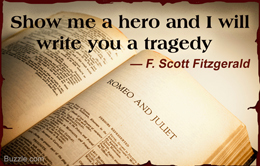 Leave a reply on "A Brilliant and Tragic Life"